It should have fitted our oven. It didn't fit the oven. Most sneakily the handles made it just a little wider than the advertised 'standard' size. And that's how the typewriter cleaning process got upgraded with a deluxe 'cleaning pan'. 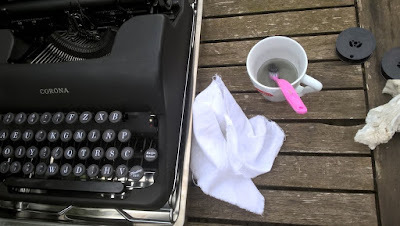 Also an opportunity to give the insides another light cleaning. 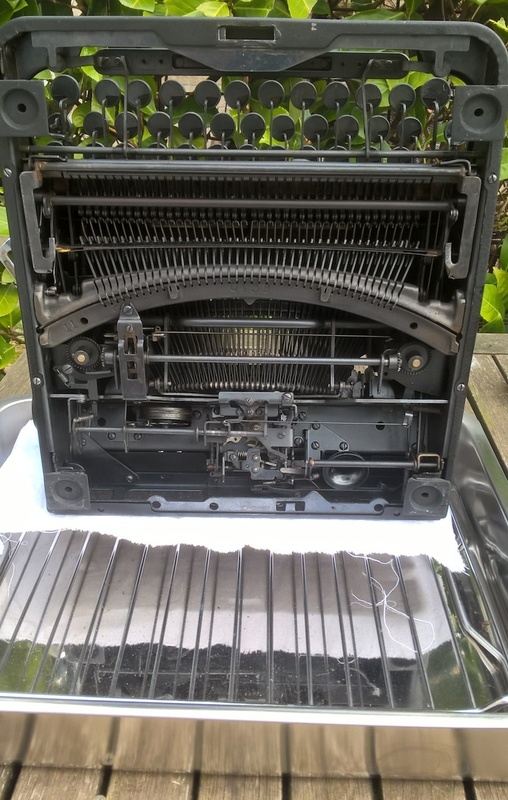 The mechanism of these Corona portable typewriters is really brilliant. 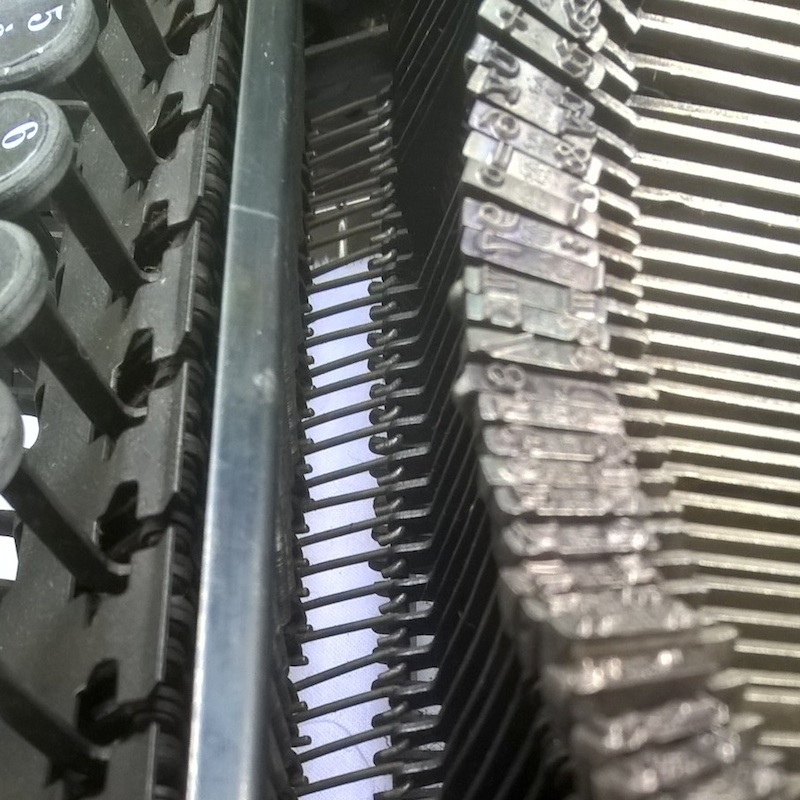 These little wire linkages are what prevents any bounce-back of the typebars, a mechanical one-way function. With the 'leaking tray' under the machine, all parts got a clean. These later, all-black Speedline mechanisms do look neat, impressive when viewing underneath the 'internals'. A roasting pan for catching important pieces and keeping your table top clean - great idea. 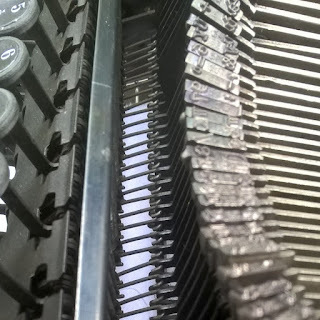 What a strange keyboard layout that typewriter has. 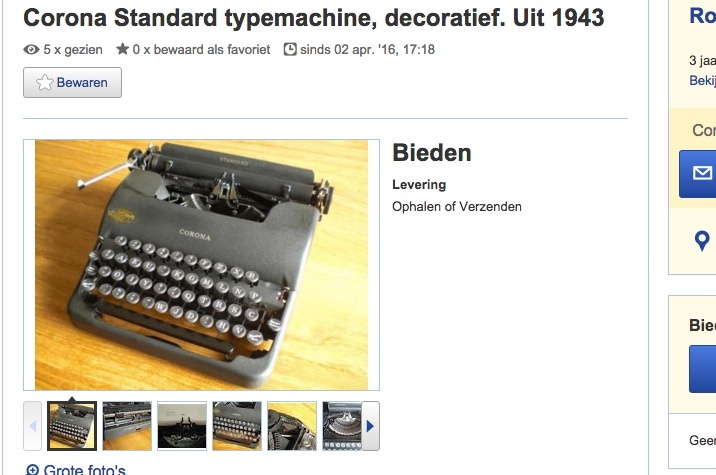 Is that a Belgian keyboard? Great idea. I do admire my Corona 4's underbelly. Although I did notice that if used atop one of those thick carpet pads those wire linkages can sometimes bind up and cause problems. Ah, yes, clearance is important. 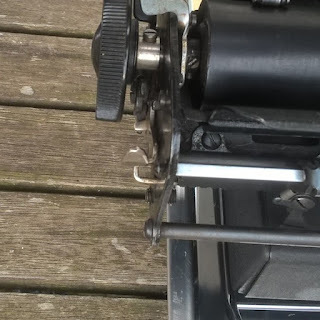 Same way the Remington Portable does need its feet - otherwise the escapement won't work well.